Annual Spinal Tap Bonspiel Announces New Partner! The Canadian Spinal Research Organization (CSRO) is very excited to announce a new partnership for one of its longest and most successful fundraising events, the Spinal Tap Charity Curling Bonspiel. The CSRO will be joining forces with Spinal Cord Injury Ontario (SCIO) for the upcoming 28th Annual Spinal Tap Charity Bonspiel on Saturday, March 30th, 2019, at the Thornhill Country Club. The Spinal Tap has enjoyed 27 incredibly successful years, having raised $665,000 over that time. The event has provided an opportunity for participants to try curling for the first time, while also including World and Olympic Champions throughout the years. The Spinal Tap is one of the longest-running charity curling events in Canada. With the SCIO coming on board will allow the event to grow to a new level, both on a fundraising aspect and attendance. The partnership makes sense on many levels, as both charities are dedicated to improving the quality of life for individuals living with a spinal cord injury. SCIO also brings years of experience with the sport of curling to the Spinal Tap, having hosted their own curling fundraiser in past years. We look forward to the beginning of a long, prosperous partnership that will help both charities get closer to their ultimate goals. 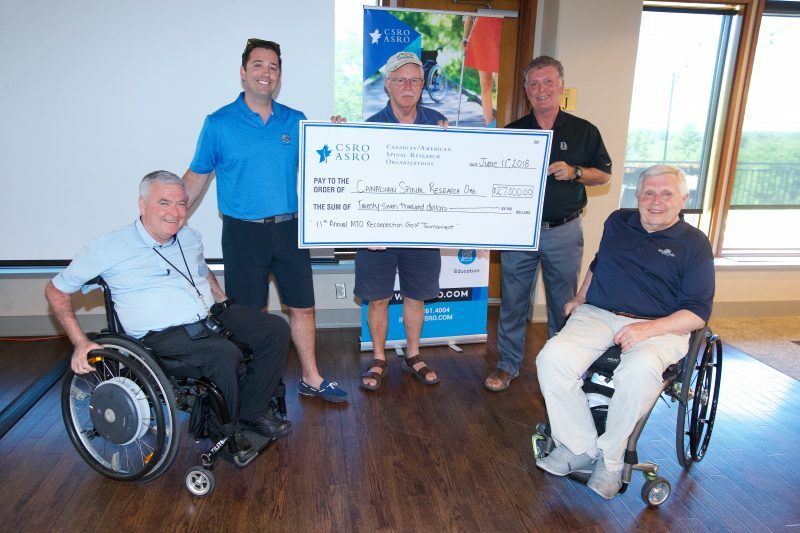 The 11th Annual MTO Reconnection Tournament was held at Cardinal Golf Club on June 11th, and it was a tremendous success. MTO employees, retirees, and other notable members of the road-building community all came out to show their support for Carl Hennum & the CSRO/ASRO. Carl, who was an Assistant Deputy Minister at the time of his retirement, worked for 40 years at the MTO. It was shortly after his retirement that he had an accident on his property, and suffered a spinal cord injury leaving him a paraplegic. What began as fundraiser for Carl has now become an annual event, and 11 years since retiring Carl’s presence is still felt in the industry today. There were numerous accounts from people who had never met Carl but admired his work and attended to support him. In 2016, the CSRO/ASRO created the Carl Hennum Fellowship for spinal cord research and thanks to over 90 golfers and corporate sponsors, we ended up raising over $27,000 for the fellowship this year. Since its inception, this tournament has now raised over $300,000 towards crucial research to restore function to those living with spinal cord injuries. In order to continue to grow the tournament we implemented some fantastic changes. Instead of the traditional putting contest, golfers participated in a golf dartboard competition; the winner of the contest achieved an amazing score of 121, hitting two triple twenties in the process. There was also more of an emphasis on networking and making new connections this year. Rather than a dinner, everyone gathered for a reception where industry members got together to network and celebrate the event. 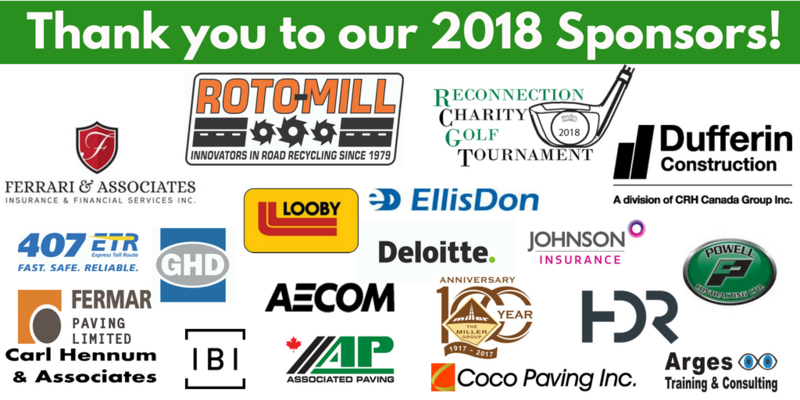 We would like to thank all the golfers, corporate sponsors and especially the organizing committee for all their hard work, dedication and efforts that were put into making this a successful annual tournament!